Winter Bird Adventure. 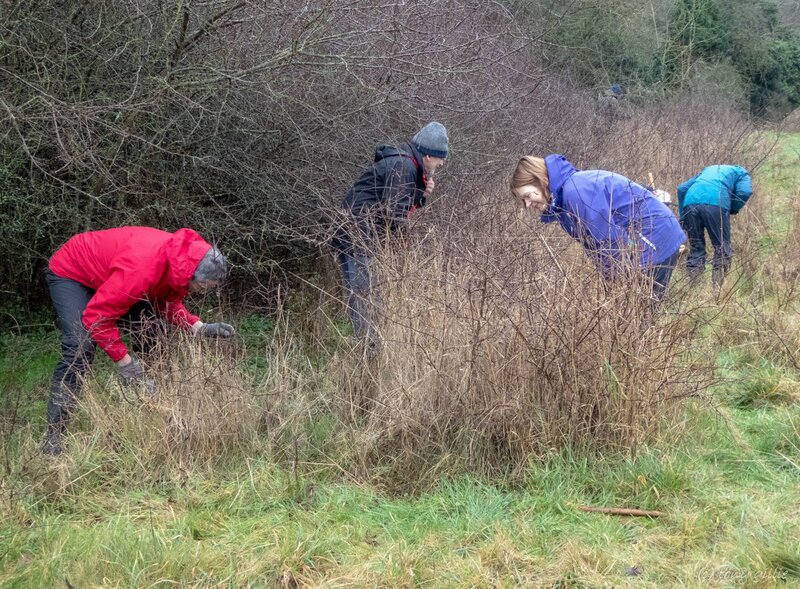 BBOWT activities in the half term break Thursday 21 February 10am to 2pm for children 4-11. Over 30 children enjoyed the unseasonal warm weather. Complete nature themed games, activities and crafts along the trail. overwinter on the blackthorn stand by the gate at the Westminster Way entrance. We found 4 eggs there, and 6 later on Harcourt Hill where it turns into a track beyond Westminster College. We used magnifying glasses to identify the eggs found. The butterflies were seen in the hedges around the Louis Memorial Fields and on Harcourt Hill this summer and eggs were spotted previously in the Park in the winter 2017-18. Some of the blackthorn stand was cut down this summer to provide new growth for the caterpillars. The Autumn Adventure was held on Wednesday 24th of October 10:00am- 2:00pm with many half term activities for children 4-11years. The children enjoyed the event in the sunshine. AGM Mon 17 September 2018 at 7:30pm at the Pavilion, Arnolds Way. The AGM was on Mon 17 September 2018 at the Pavilion, Arnolds Way. Nick Bowles of Butterfly Conservation was the speaker and there were reports on the butterfly surveys, nest boxes and Wild Oxford conservation progress. Talk: Emily Seccombe described the Oxford Swift City project. The swift city project is supported by the Heritage Lottery Fund and is working to raise awareness of swift conservation and encourage people to take practical actions to benefit swifts in Oxford. Swifts are urban birds with a long cultural connection to Oxford and arrive back from their migration from April onwards, but are in serious decline in the UK. This may be due to a loss of nest spaces in urban areas - this is why they need the help of Oxford residents. The project is working to inspire and support people to survey for nesting and foraging swifts, and to protect and create nest spaces. The Friends will be able to help record sightings of swifts nesting in their homes or foraging in the natural areas around Oxford, as well as take practical actions such as installing swift bricks or boxes - Clive Smith has already made some homes for discerning swifts for installation under the eaves of houses. Some refreshments were provided to a good turnout of members. The Boxing Day Walk was well attended this year. 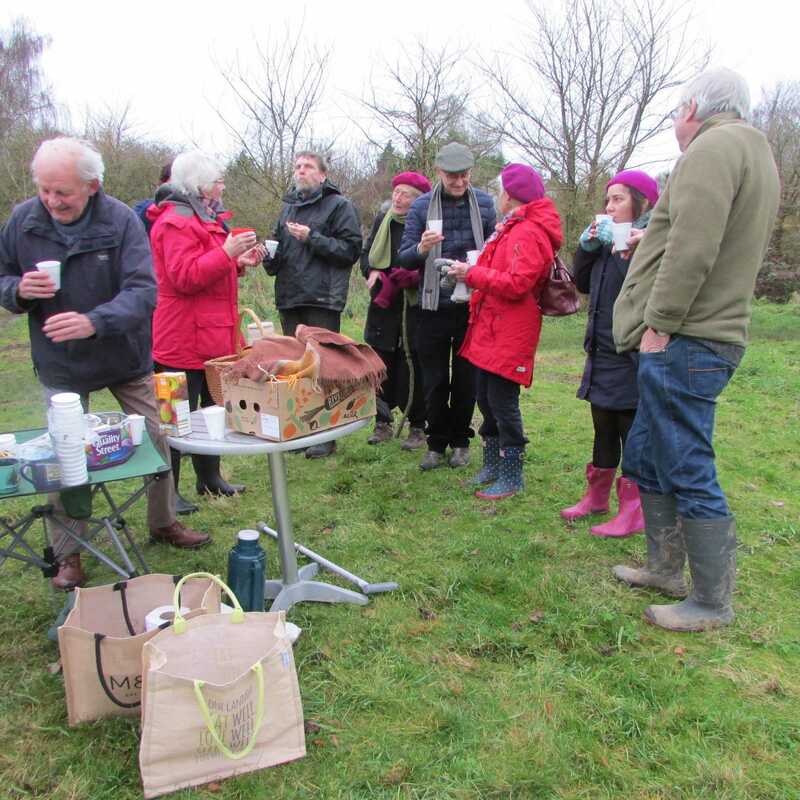 Participants were fortified with mince pies, home made Christmas cake and mulled wine then enjoyed a rather slippery walk round the park when objects of interest such as the badger sett and the Roman road were pointed out. Adam Bows representing The Friends of Raleigh Park, Julian Cooper Oxford Parks Dept. and Andy Gunn BBOWT were interviewed in the Park by Radio Oxford at breakfast time on 1st November. The Friends of Raleigh Park AGM was held on 14 September 2017 at the Pavilion, Lime Road. Bob Cowley was the speaker. He outlined what has been achieved by the Friends of the Trap Grounds in the last 20 years, illustrated by a selection of excellent wildlife photos. The Chairman outlined the progress made this year and introduced the BBOWT presentation. Clive Smith put up nest boxes in the Park in the spring and Stephen Miller recorded the outcomes. The recording was done every 5-14 days through the nesting season following the BTO procedure. The nestboxes were well utilised by bluetits. The excellent cakes provided were baked by Branches Young People's Support Service. The AGM elected Adam Bows to the Committee. Talks in March 2017 were by Clive Smith and Andy Gunn (BBOWT). Clive Smith: Bird Boxes and the BTO recording protocol (Clive Smith's slides) . Andy Gunn: Wild Oxford and Raleigh Park (Andy Gunn's slides) . The 2016 AGM was held in the Louis Memorial Pavilion. There was a presentation by Susan Cassetari and Jenny Miller (Forest School Leaders, North Hinksey Primary School) on Forest School Learning and Julian Cooper (Parks Dept) outlined his plans for Raleigh Park. Prof Riki Therivel gave a fascinating talk in March 2016 on woodland management describing her work in turning a 10 acre field on Hinksey Hill into a woodlot and a wildflower meadow. In September 2015 the noted local historian Malcolm Graham gave a well researched and very interesting presentation on the history of the Oxford water supply. Previously Gerald Dawe gave a presentation on the botanical and other environmental changes in Raleigh Park since his survey in 1996.